Having visualized the zones where the individual and autonomous treks are impossible according to the Nepalese regulations (hatched zones on the map), we have now to determine the zones of access to the Himalayan chain and establish a list. This work will allow to build projects in autonomy: targets, access, timetables, ascents, material to take, etc. Provided that it can be used by the lovers of the Mountain, they can, in return, complete it or indicate my mistakes. Click the photo twice, once from the article, once the photo itself, to have a satisfactory enlargement. Zone A: a first theoretical possibility is to join Gorakh Himal from the Great Himalaya Trail ( GHT) from Rodikot for example. 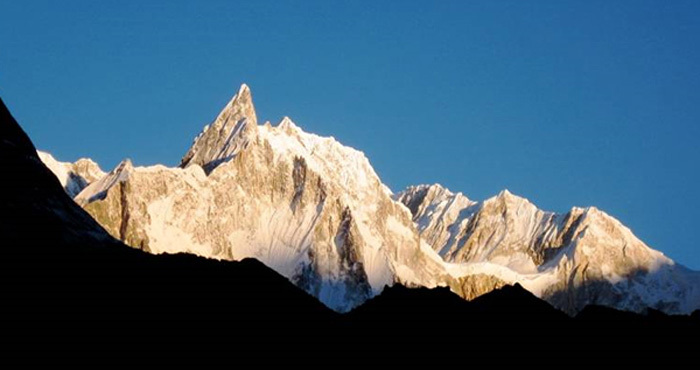 The ascent towards Kang and Namja is also forbidden (5) as well as the zone of Mugu ( 10 ). 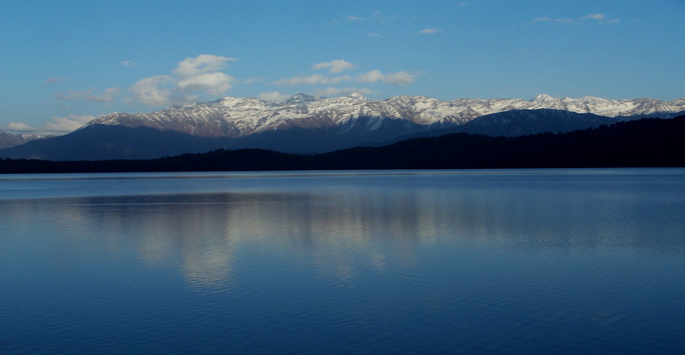 Zone B: The lake Rara is a topic of discussions. Numerous testimonies contribute to assert that this zone is authorized. 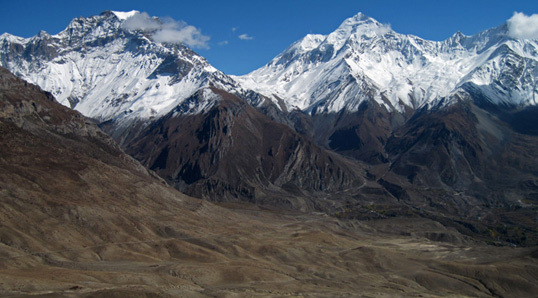 Zone C: in the South of the region of Dolpa ( 1 ), we find the Chain of the Dhaulagiri. Accesses are maybe possible in the Dhorpatan National Park. Some villages are indicated Arjewa, Durja Khani. To explore this region, we can find side tracks, from East to West on the path leading to the Dhaulagiri base camp (Beni, Dharapani, etc.). 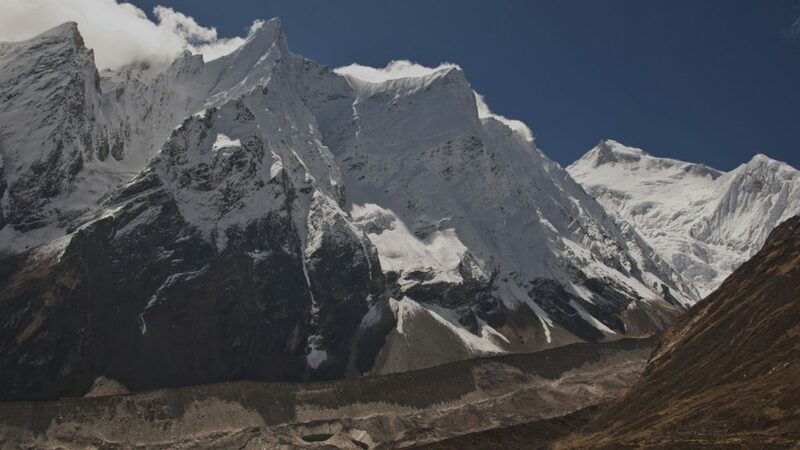 Zone D : In the South of Upper Mustang ( 2 ) and Manang (9) zones, two interesting zones are opened; that of the Dhaulagiri by itself and of the massif of Annapurna. 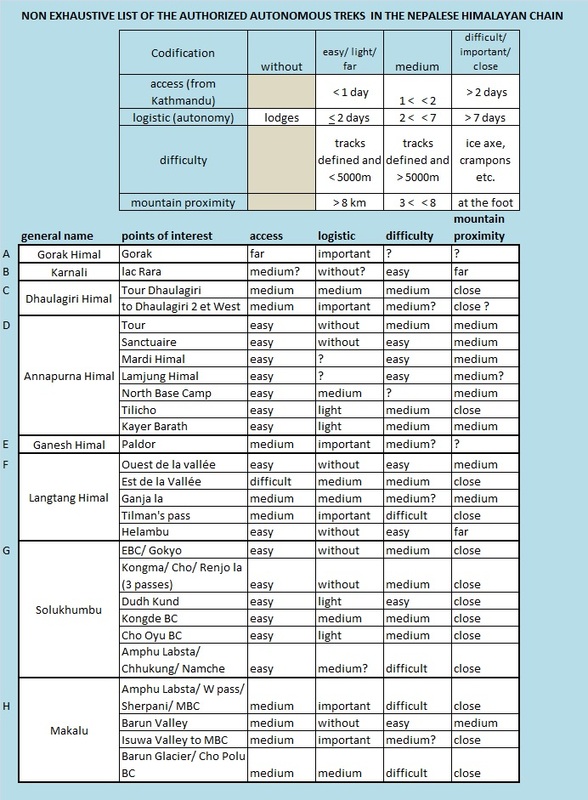 We’ll not analyse these zones the accesses of which are known – (Annapurna = the 2nd busiest trek). 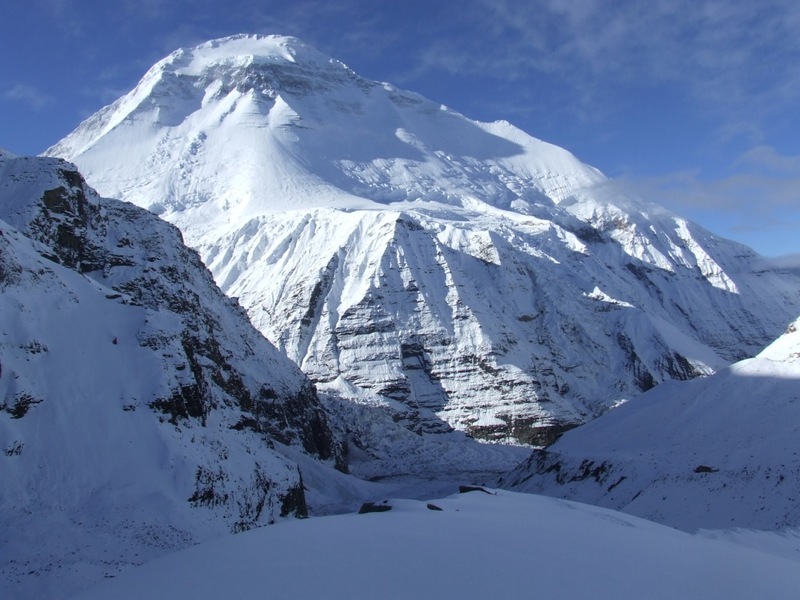 Nevertheless many original explorations are possible as, for example, the Annapurna North base camp. Zone E : Between the park of Manaslu ( 3 ) and Rasuwa ( 6 ), a small zone could be opened giving onto Ganesh 3 and Paldor from the GHT, linked with Trisuli. 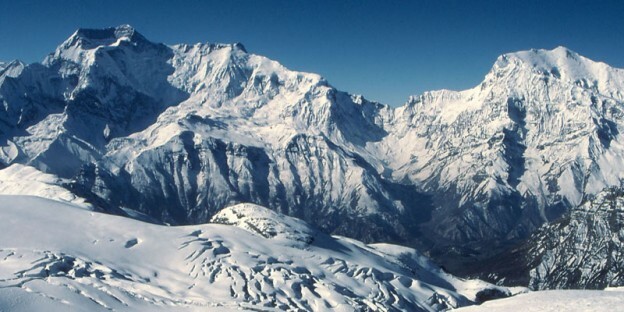 Zone F : Langtang, associated with Helambu. 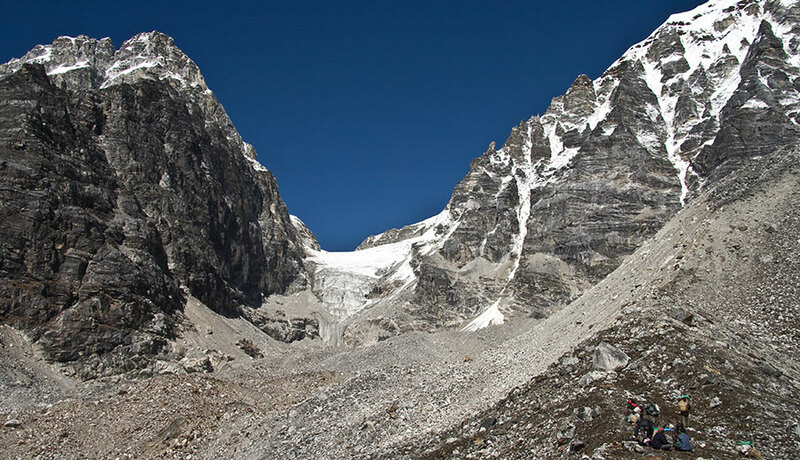 The trek to Kianjin gompa is the 3rd busiest of Nepal. On the other hand, all the isolated region extending in the East and in the South of Kianjin, from which the high mountain begins, can be explored, by Tilman pass for example, etc. By continuing eastward, the zone of Rolwaling, Dolakla ( 4 ), is also forbidden according to my interpretation of the regulations. 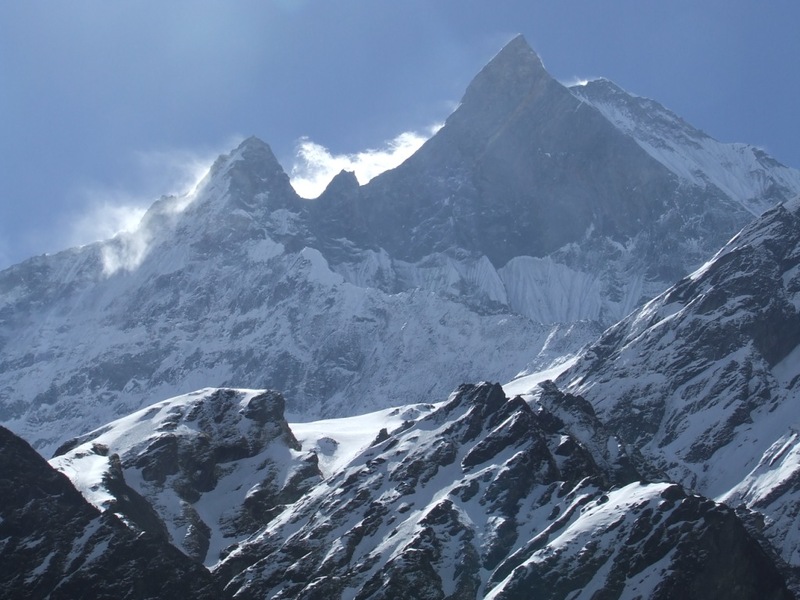 Solukhumbu is the siege of the busiest trek of Nepal, up to the base camp of the Everest and Gokyo. 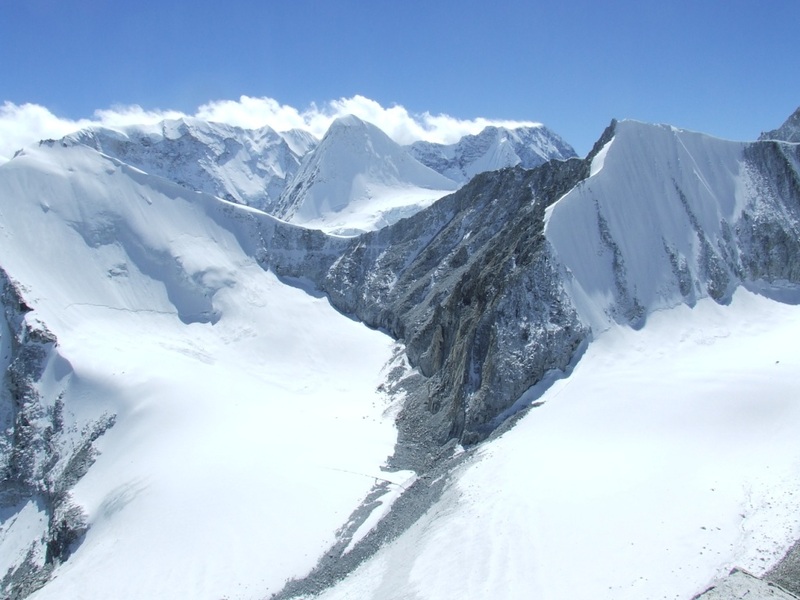 It is necessary to note, nevertheless, many zones to be explored: regions of Khunde, Dudh Kund, the road leading to Amphu lapsta and towards Makalu. All these zones and probably many others are authorized, little frequented and easily accessible. These four zones (D, F, G) with H, being very wide, allow to get off the beaten track easily and to reach the high mountain if a meticulous preparation is made. Finally, the other zones (A, B, C, E), maybe forgotten by the legislation, unknown and for the greater part difficult to access, can become the siege of ambitious projects. It belongs to us to make our dream a reality!